None of them seem to work in iTerm/emacs. I'm not sure if this a emacs terminal mode problem or a problem with iTerm2. I don't want to bind this to any other complex key sequence as I use this very often. I just did a quick test of emacs in iTerm2 and Terminal. Both see CTRL-RET as simply RET. I did this with CTRL-h k to see what the key is bound to. You should be able to map the CTRL-RET to anything you want by making a Profile. Editing the Profile. In the Profile dialog box use the Keys tab to that gets sent when you press the keys. I am not sure what sequence you need to send. Not the answer you're looking for? 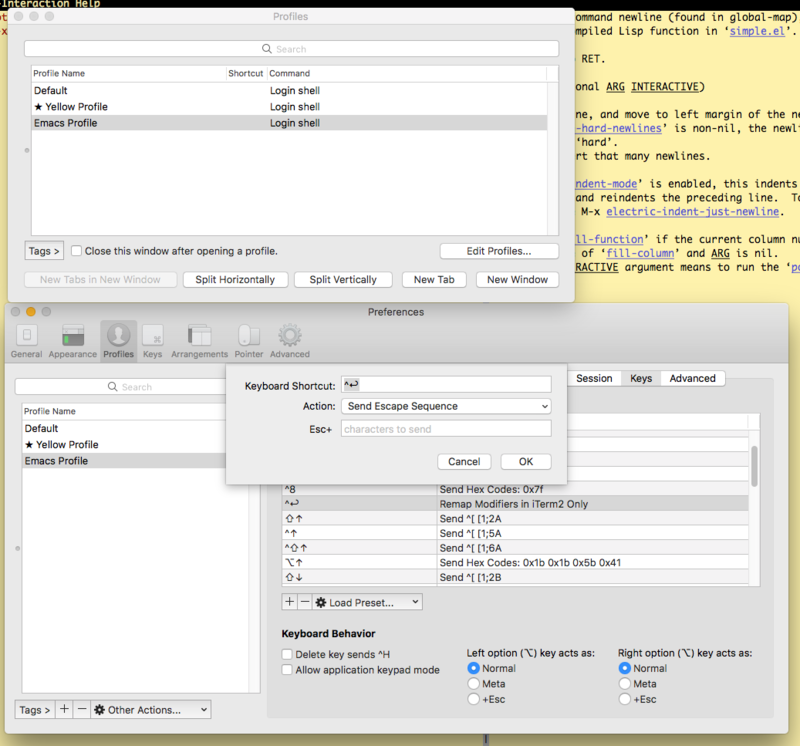 Browse other questions tagged keyboard iterm emacs . How to make this kind of global hotkey?